Beautiful girls ivory diamante & organza dress with an olive green sash, suitable for a baby through to junior, perfect wedding wear for a bridesmaid / flower girl or for that special occasion. 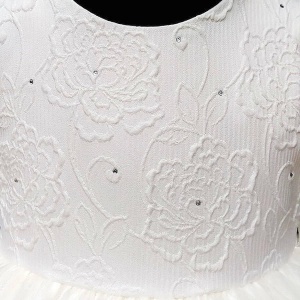 Dress: Ivory sleeveless bodice with an embroidered floral pattern and sparkly diamantes. An olive green organza net sash is to the waist, with a discreet zip fastening. The sash is detachable so bow can be placed at the front, back or to the side. The skirt of the dress is just lovely ... top layer is of a sheer organza with little sparkly diamantes on the front, satin underlining that has a tulle underlay to create fullness. This dress is brand new complete with hanger and protective clear cover to keep the dress in tip-top condition. Made in England UK by 'Visara'. Outstanding high quality and made to the highest standards. A beautiful dress to make her feel really special. 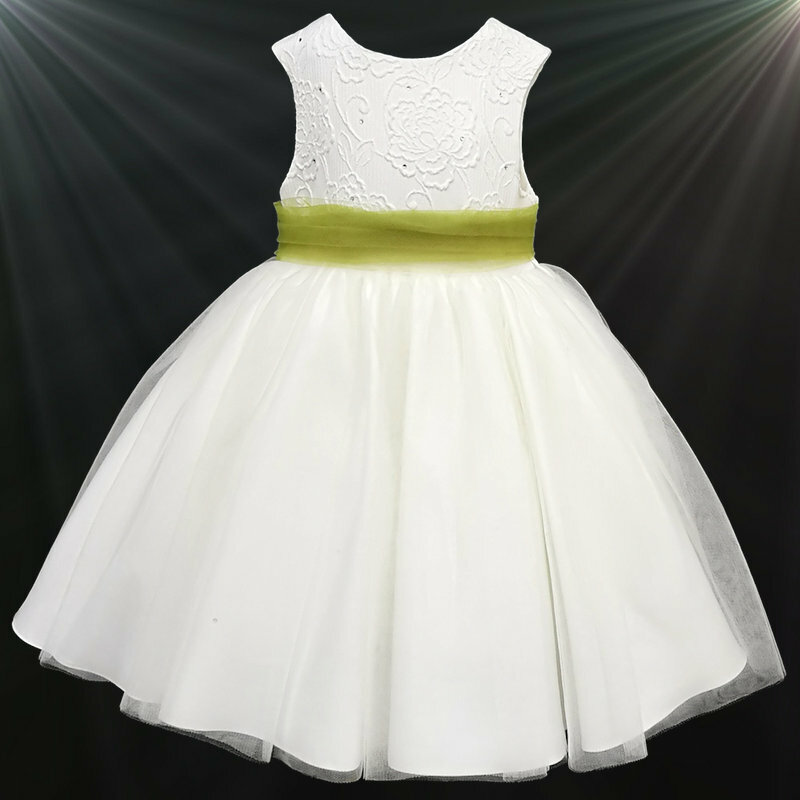 Please ensure all measurements have been checked prior to purchase to ensure you select the correct size (we do not recommend you purchase based purely on their current size as these dresses can be generous on the length depending on the size of the child). You can view all the measurements by simply clicking on the size guide tab above.